He’s going to scream and cry. He’ll probably end up in a timeout. Mama will pour herself a glass of wine. Which will probably make him scream and cry. Which will give Mama a chance to pour another glass of wine. You get the picture. Alongside blogger, personal driver, laundry folder, undefeated Connect Four champion (they never see the diagonal win coming), human bedtime “blankie,” and Play-Doh hater, you can add food therapist to my list of accolades and qualifications. 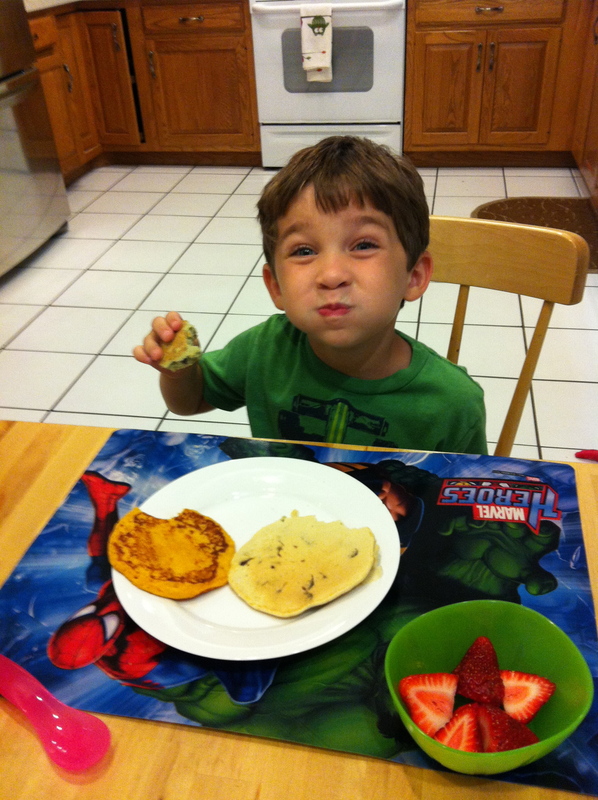 I’ve been told many times that food behaviors are the hardest to change, and I happen to have a child who’s dysfunctional eating behaviors are so ingrained in him – and from such a young age – that he doesn’t even know why he’s doing them. The sensory issues that sparked it all are buried under layers upon layers of fear, avoidance, control, and defense. 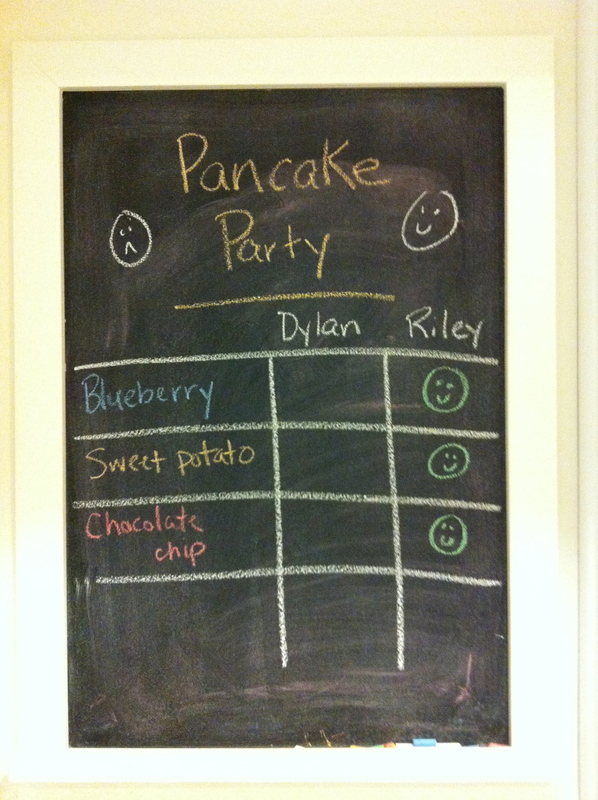 We’ve been immersed in intensive behavioral therapy since August to get at the root of Dylan’s food issues. Unfortunately, it hasn’t been very fruitful (pun intended). Without getting too descriptive about the experience (I don’t like to gossip, except, well, nevermind…), the company we worked with proved to be unimpressive. We had a lovely and well-intentioned case manager and tutor assigned to our case, but neither of them had the experience or capability to tackle Dylan’s food and eating behaviors within the context of sensory processing disorder. It took me a little while to figure it out (it always does), but eventually I realized they weren’t addressing Dylan’s strengths and weaknesses or taking into account his specific needs. Instead, they imposed on him a methodology that only exacerbated his sensory sensitivities. I saw with my own eyes how their approach was shutting Dylan down instead of opening him up. I tried to express my concerns, make changes to the program, and enlighten them about the ins and outs of sensory processing disorder, but then it dawned on me that I shouldn’t have to do that. They are supposed to be experts. They are supposed to have answers. Or so I thought. Did I give them enough time, you’re probably wondering? I don’t know. I really don’t. But my gut told me to end it, and if I’ve learned anything on this journey, it’s to trust my instinct. Earlier this week, I made the difficult decision to end services with this particular therapy program, and as you can imagine, I feel a lot of different emotions. Sadness. I thought this was the answer we’d been searching for. I really did. Failure/Guilt (of course). Why can’t I figure this out? Why can’t I get it right? Why can’t I help my son? Relief. Three to four nights per week of tidying up, prepping food, and hosting someone in my house was exhausting. The past few nights alone – with just our family – have been a reprieve. The anxious anticipation of each night’s menu, whether or not he would eat, and how he would react was an emotional rollercoaster. Wanna know a secret? The nights when he took bites of food were worse than the nights when he didn’t. I wanted to be happy when he tasted, for instance, a new macaroni and cheese, but as soon as he swallowed a miniscule bite he would declare, “I hate this,” or, “Now I never have to eat it again.” He wasn’t eating. He was surviving the session. Inspiration. Even though, in the end, this therapy program wasn’t the right choice for Dylan, the time we’ve spent at the dinner table has given me a renewed sense of confidence. Instead of shying away from this daunting job (his worst mealtime behaviors happen around me), I choose to own it. I may be off the “math parenting” hook, but I’m not out of the woods. Not by a long shot. There is still the pesky problem of the boy who hates new food. 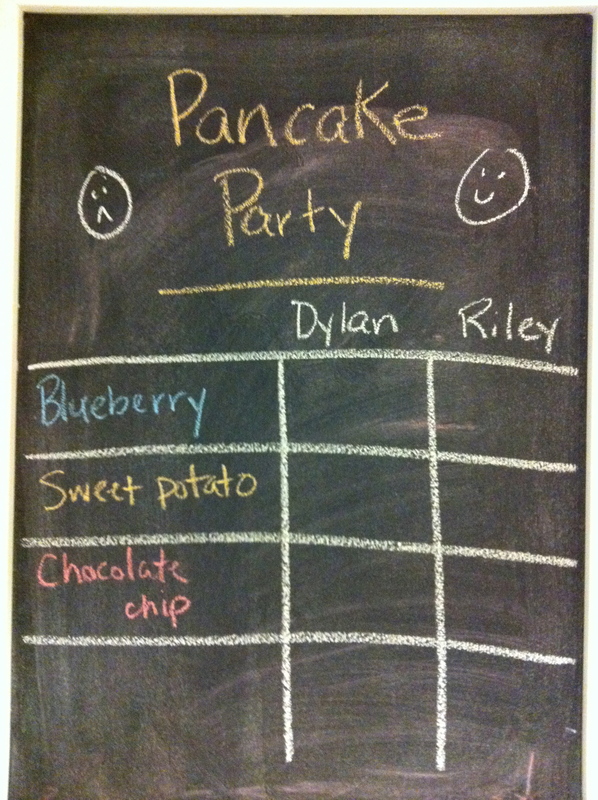 Tonight, I planned a pancake taste test: sweet potato, blueberry, and chocolate chip. 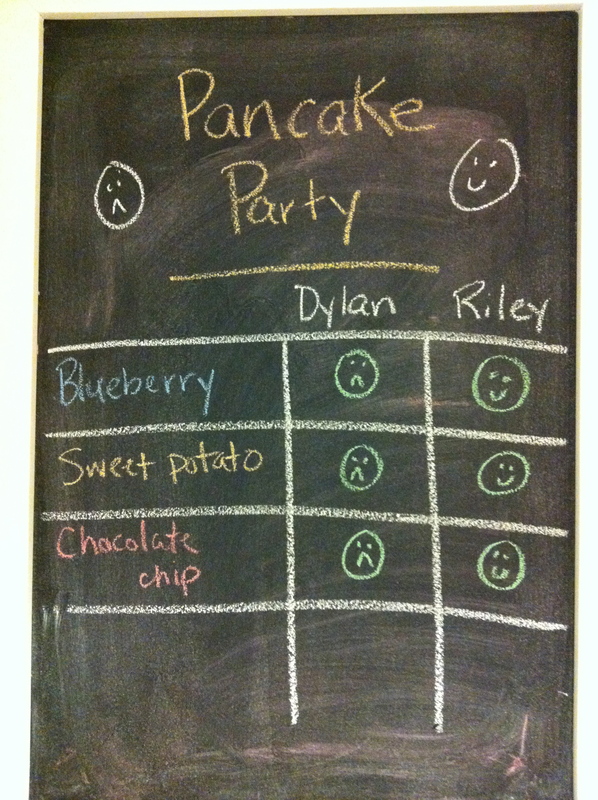 He liked them all, but the blueberry pancake (from Yummy In My Tummy) was his favorite. And that was it. The pancake party was over. But the journey is far from complete.